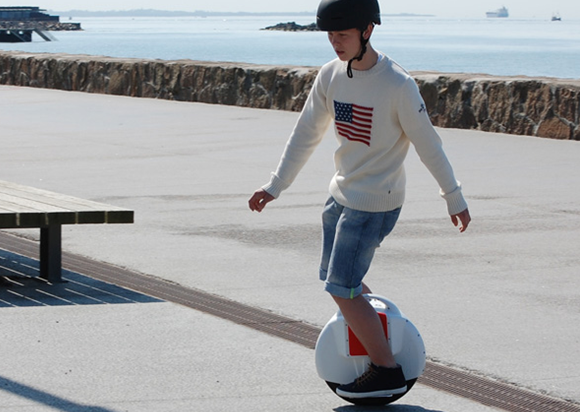 The Airwheel provides a range of unicycles. The Airwheel X8 is especial because it has a larger wheel and looks slimmer. 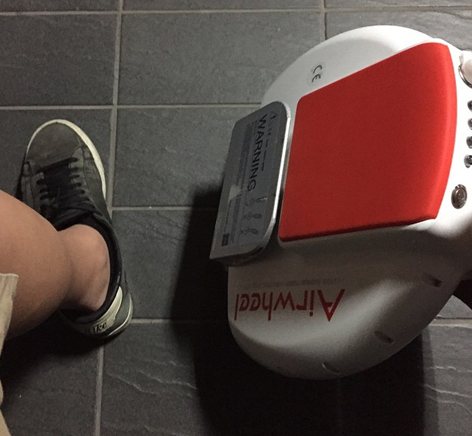 I bought the Airwheel X8 expecting my trips to and from classes at my university to become a little more pleasurable as well as shorter. Learning to ride is easy. It took me only a day to learn with the training wheels and then a day later I was zooming up and down the street with confidence. It’s really an attention getter. At first you feel good to respond to people’s reaction to you riding this “transportation of the future”, but after a month of use, I had to buy headphones to have a reason to ignore people. The Airwheel X8 is durable. The instruction manual says not to use it in the rain, but much to my surprise it worked all through winter – until yesterday. I’ve been using this thing in snow and rain – even on rocky terrains and various steep slopes. I think I put it to its limits really. But as I was coming back from physics class I decided to ride it back to my dorm as usual. And that’s when it just never started, it was dead I guess. By this point I should note that I started doing jumping stunts on it from the sidewalks. My Airwheel X8 just didn't start. So I did what any guy coming back from physics class would do. I opened it up and saw its guts. I was expecting water damage but when I looked into the motherboard and battery compartment it was completely sealed! No water damage what so ever. I concluded it was my jumping and irresponsible usage that killed it. I found two wires disconnected from the board I didn’t know where exactly they belonged but they looked like they were cut off or something. Moral is don’t jump or do crazy stunts with it. It’s meant for simple transportation not red bull competitions as I’ve come to realize. The Airwheel X8 is quite an excellent product otherwise, though the beeping gets a bit annoying. Now that I opened the mother board I realized if I just clipped the wires going to the beeper it would be the best experience. Oh I forgot to mention that the Airwheel X8 barely cracked on me after it was thrown into a 420 degree flip in the air after I accidentally went up a sidewalk and lost my balance. I had to repaint the exterior though to cover up the evidence.